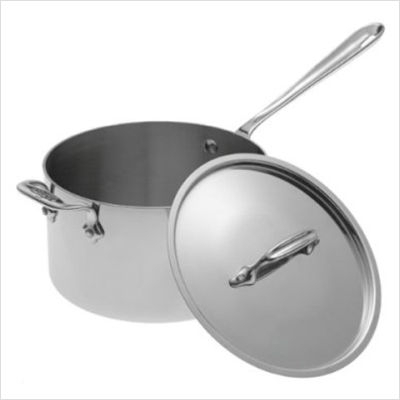 All Clad cookware is multi-clad stainless steel with sturdy riveted handles. 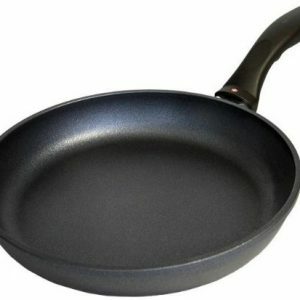 Professionals love All Clad because it heats quickly and evenly. 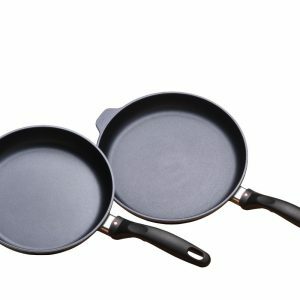 The durability of this cookware speaks for itself. 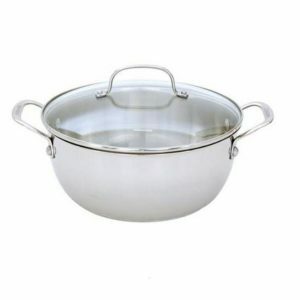 All Clad is dishwasher safe, but hand washing is always recommended to prolong the life of these pans.